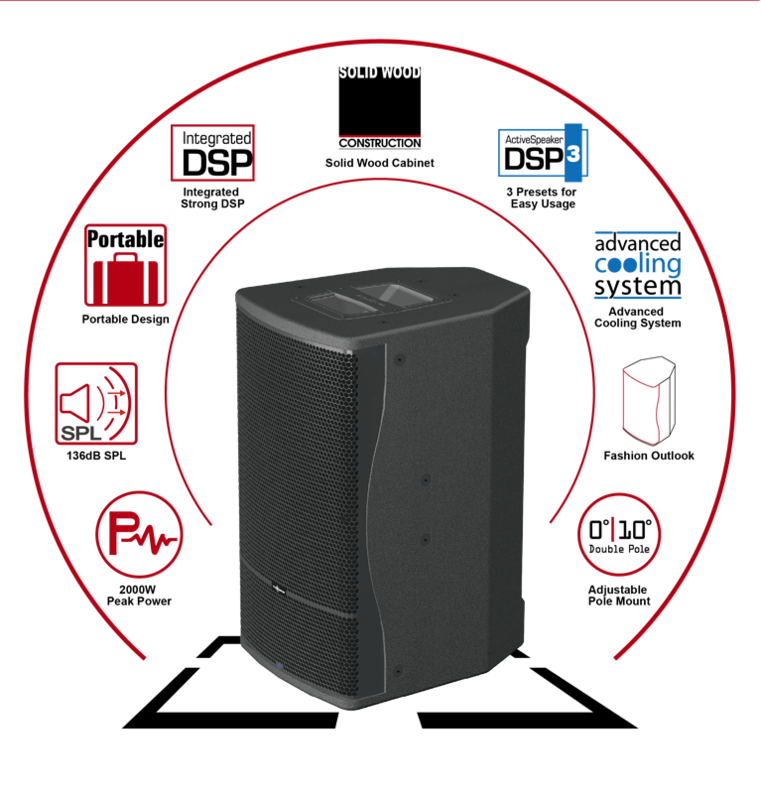 EA5 series is Audiocenter latest active speaker built with BrainCore™ , innovative core application technology that researched and developed by Audiocenter with supreme performance and high reliability. 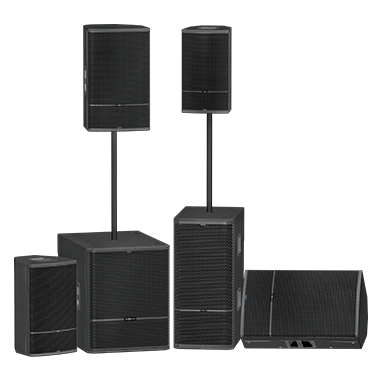 EA5 Series have 6 models in total, EA508, EA510, EA512 & EA515 full range speaker matching with EA5118& EA5212 subwoofer. EA5 Series is specially designed for fixed installation like ballroom, meeting room, lecture hall, exhibition center, house of worship and touring performance like party, road show, seminar, speech, etc. 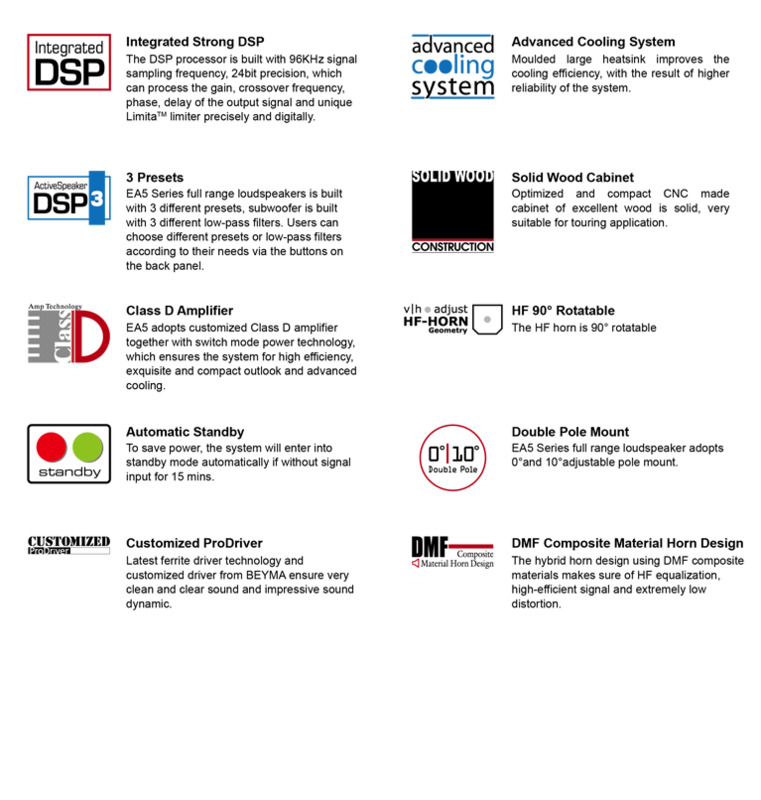 BrainCoreTM is an innovative core application technology researched and developed by Audiocenter, devoted to Audiocenter active DSP-controlled loudspeakers with supreme performance and high reliability. 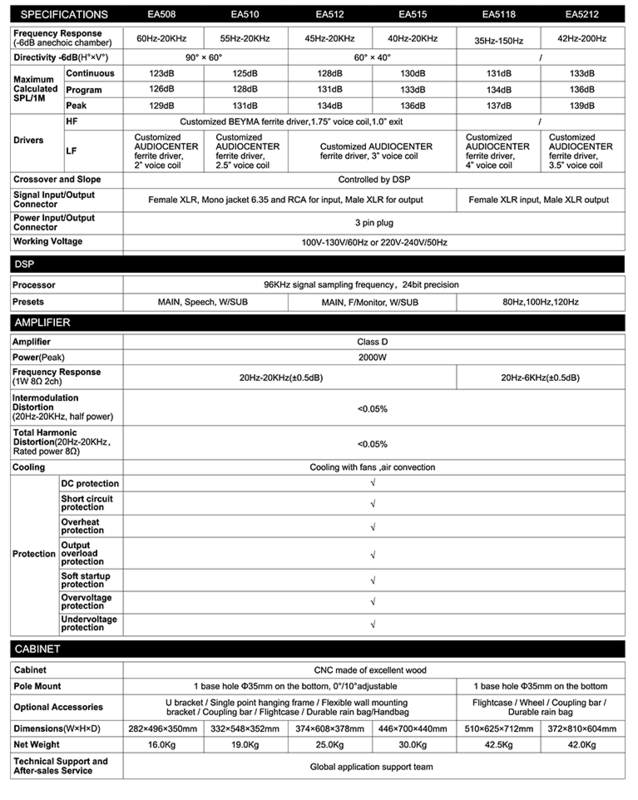 With its advanced technology and scientific methodology, BrainCoreTM analyses and processes the input signal, DSP module, Class D amplifier and loudspeaker optimally, achieving excellent frequency response and audio reproduction even at high levels of SPL.